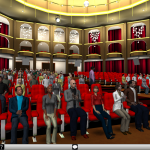 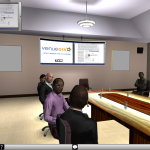 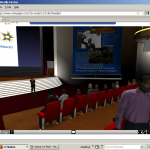 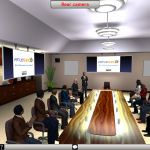 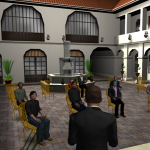 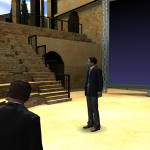 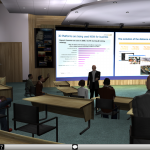 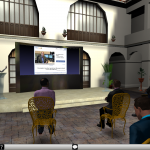 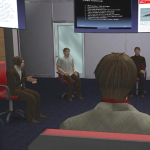 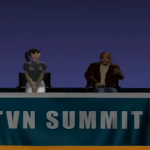 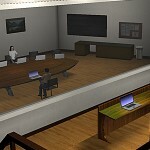 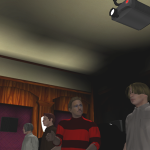 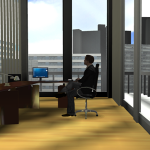 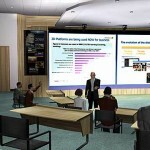 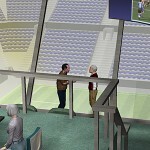 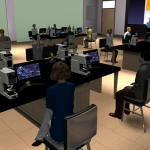 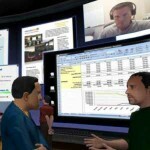 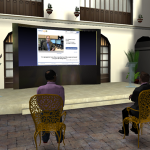 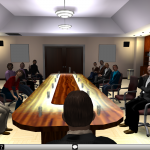 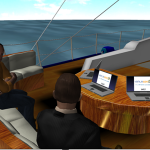 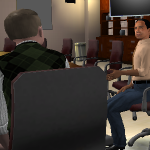 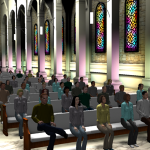 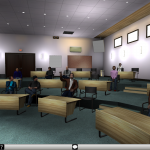 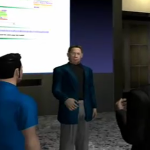 Imagine a cross between Webex and Second Life, geared towards meetings and training. 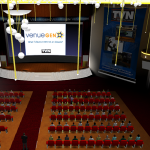 VenueGen. 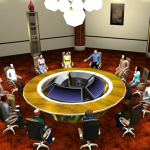 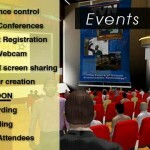 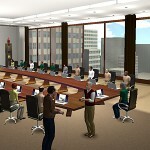 The first on-demand enterprise web 3D conferencing solution that can be integrated into any web-based offering. 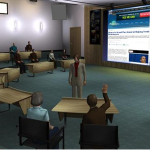 The company deploys as a SaaS based web service to consumers and business customers that currently serve the multi-billion dollar distance learning, social networking, web conferencing, content publishing and live event markets. 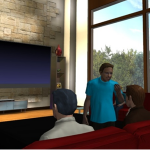 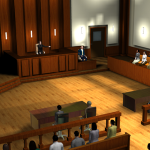 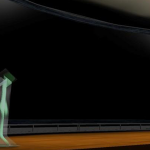 Founded in 2007, the Company offers the first practical application of web 3D technology that can be seamlessly integrated into its customers’ web offerings integrating their 2D content and delivered as an on-demand service. 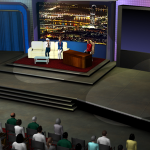 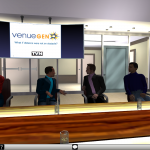 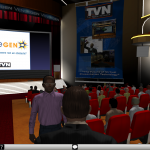 Venuegen is optimized to equip virtual presenters with powerful and intuitive communication capabilities that radically lower event costs and extend market reach.